Are you looking for the best Beaver Builder themes for your WordPress website? Beaver Builder is a popular page builder that helps you create pages using a simple drag and drop interface. Not all WordPress themes support Beaver Builder. If you intend to use this magnificent page builder, then you’ll first need to find out which themes are compatible with it. In this article, we’ll share the best Beaver Builder themes for WordPress that you can use to easily build the website of your dreams. Potenza is a popular single page WordPress theme. It fully supports page builders, including Beaver Builder. It allows you to drag and drop your content, widgets, and other elements on the homepage. With Beaver Builder, you can also edit other landing pages in an instant. Potenza has a flexible layout with multiple columns and design features. It comes with custom widgets, parallax backgrounds, images, animations, and more. You can use the WordPress customizer to control color balancing and view the live preview of your changes. Hestia is a multipurpose Beaver Builder theme. It integrates with the page builder to let you design your website on-the-go. It has a 1-minute setup and demo content, so you can easily duplicate their demo site. You can replace the content and images with your own data easily. It’s fully optimized for speed and compatible with the best cache plugins. Hestia supports mega menus, custom background, and RTL (right to left) languages. It’s translation-ready and can be used to create a multilingual website. Sydney is a powerful business theme that supports Beaver Builder. It’s highly flexible and provides content blocks to set up your homepage quickly. It comes with a fullscreen slider, header image, sticky navigation menu, and custom logo. Sydney has a drag and drop builder to effortlessly create landing pages and other web pages. It supports Google Fonts, full color control for layouts, custom layouts, logos, and translations. Unlike other themes, Sydney has a set of social icons that you can add on your site to engage with your visitors. OceanWP is a free WordPress theme compatible with Beaver Builder page builder. It has an amazingly fast page load time that you can check with any speed test tool for WordPress sites. OceanWP has built-in features for creating an eCommerce store with WooCommerce. You can create an online store with this theme. The theme comes with its own extensions for fullscreen scrolling, login popup, Instagram feed, white labeling, and more. It has strong documentation that can help with the initial setup. Benson is a WordPress photography theme. It can integrate Beaver Builder to drag and drop content and images on your website. It gives a story-based layout to photographers. Benson is user-friendly and customizable so you can create the exact website you want. It works great with WordPress’ live customizer to make changes on your site and see them in the preview. You can use their video tutorials to learn how to manage your website without struggling with trial and error tactics. Lense is a WordPress theme designed specifically for photographers and camera selling shops. It offers multiple gallery layouts, fullscreen images display, color control, and more. Lense is a responsive theme and looks great on any screen size. It has a built-in gallery uploader, appearance control settings, modern layouts, and WPML support. Lense can be integrated with Beaver Builder to drag and drop your content for pages. GeneratePress is a simple WordPress theme with Beaver Builder compatibility. It’s a lightweight theme and highly stable with the top coding standards. It has premium modules and access to their site library. If you want to talk about customization, then you’ll be happy to hear that GeneratePress comes with typography, colors, layouts, and compatibility with WordPress plugins. It’s also optimized for search engines to get more traffic on your site. TrueNorth is a WordPress portfolio theme. It has a unique layout thanks to the welcome message and portfolio content blocks. You can display different types of portfolios in the slideshow, images, columns, and more. TrueNorth is compatible with Beaver Builder for creating pages. The theme features custom widgets, colors, options panel, and a 1-click demo content import to get your website ready. 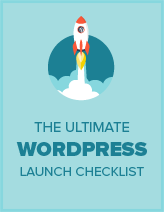 It’s easy to set up and is a truly user-friendly WordPress theme. Ava is an eCommerce WordPress theme with WooCommerce integration. It comes with 50+ free extensions and is compatible with all other WooCommerce premium extensions. It works great with Beaver Builder to drag and drop your products and customize your pages. Ava is the perfect choice for selling online. It has custom layouts, colors, fonts, social icons, and more editing options. Ava includes 6 templates, lightbox galleries, gallery layouts, and full-width designs. Astra is a stylish WordPress theme made for Beaver Builder and other top page builders. It offers pre-built websites to reduce the time and effort you put into site-making. You can simply launch their demo sites and replace the content with your own. All their demo sites’ designs are made to conform into any kind of website you want. The live WordPress theme customizer has all the options to edit your site. You can see a preview of your changes right away. Astra has paid addons to extend the functionalities for headers and layouts. Milos is a WordPress theme for hotels, hostels, apartments, and accommodation businesses. It features external booking systems, restaurant menu management, and other options for your hotel’s website. Milos is easy to install and use with the Beaver Builder editor. Since it’s translation-ready, you can create the hotel website in your local language and also add other international languages. The theme is optimized for speed and SEO. As the name suggests, Customify is a highly customizable WordPress theme. It’s built for page builders and fully supports Beaver Builder. With the real-time editor, you can create pages, headers, footers, and sidebars and view your designs instantly. They claim that every single element in the Customify theme can be customized. Customify has many ready-made websites that you can use to quickly launch your site. Simply change the content and images to make it your own. The theme is lightweight and optimized for performance. Neve is a page builder-friendly WordPress theme and works great with Beaver Builder. It’s built with modern standards and customizable layouts. Neve is fully responsive, translation-ready, and offers a 1-minute setup with an included demo import. It has beautiful navigation menus, typography, colors, and custom backgrounds. It’s compatible with all third-party WordPress plugins. Using the WordPress customizer, you can edit any page of your site and see a live preview of the changes. Flevr is a WordPress business theme for eCommerce sites. It supports WooCommerce to create an online store and sell your products. It has a widget-based homepage to add features, contents, and custom widgets. Flevr includes 7 content types for homepages, including portfolios, sliders, services, teams, partners, testimonials, and products. With flexible layout options, you can set up columns, listings, filters, and sidebars on your site. This theme is compatible with page builders like Beaver Builder to design your pages via drag and drop functionalities. Igloo is a Beaver Builder WordPress theme for restaurants and bars. It offers a unique layout for your food business to promote your restaurant online. Like other such themes, it has a menu management system to display dishes and prices beautifully. It comes with 4 content types for the homepage, including sliders and image galleries to show off your food photos. Igloo has multiple color schemes, custom widgets, colors, and typography for layouts. Rocked Pro is a premium business theme for WordPress sites. It features a crelly slider, page templates, additional widgets, and more. The theme is compatible with Beaver Builder and other page builders which makes customization super easy. You can drag and drop your content and widgets to set up your site. It has support for WooCommerce to make an eCommerce store. The theme is translation-ready and works great for RTL languages. They have strong documentation and guides to fully explain the features included with the theme. Struct is a simple Beaver Builder WordPress theme for mobile apps, software-related sites, and SaaS (service as a service) projects. The homepage is based on widgets that you can drag and drop to add content and images. Beaver Builder also helps set up your homepage with content widgets, image sections, and more. It comes with 13 custom widgets like social icons, contact maps, tasks schedules, etc. Struct divides your content into 5 types including portfolio, team, services, FAQs, and guides. You can customize the theme with unlimited color schemes, fonts, and background styles. Ryan is a free, multipurpose WordPress theme with Beaver Builder support you can use to quickly make your website. The theme options panel has numerous custom settings to change the design and look of your site. It has a full-width image slider on the homepage. It allows you to add a custom logo, drag and drop content widgets, and add a background image. Ryan is fully responsive and optimized for SEO. Radcliffe is another free WordPress theme. It has a full-width template for the homepage. This theme is compatible with Beaver Builder which makes it easy for you to add content, images, forms, and more on your homepage. The Beaver Builder page builder also helps you create your landing pages quickly. Additionally, it has beautiful templates, header images, typography, a custom logo, custom colors, and widget areas. Radcliffe is a translation-ready theme so you can use it to create a website in any language. GBeaver is a Beaver Builder compatible theme for WordPress sites. It’s a Genesis child theme which gives it a solid foundation. It has multiple layouts and built-in sites to set up your website swiftly. It also supports WooCommerce to create eCommerce stores. It comes with inbuilt widgets, modules, custom logos, sticky menus, off-canvas menus, flexible footer columns with widget areas, and theme options to design your site. It’s a complete package to create a website with Beaver Builder. Like the name, Page Builder Framework is a perfect WordPress theme that supports all page builders, including Beaver Builder. It’s a super lightweight theme with flexible options to design and customize your site. Page Builder Framework comes with paid addons for sticky navigation, Typekit integration, and transparent headers. This theme is fully responsive and optimized for search engines. It’s built with the latest technology to keep it safe and secure from vulnerabilities. We hope this article helped you find the best Beaver Builder themes for WordPress. You may also want to check out our expert picks for the best WordPress themes for membership sites.